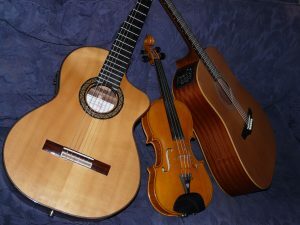 Based in Somerset, Thalia Violin & Guitar duo offer high quality live musical entertainment for various occasions from Weddings and Private Parties to Public events and Corporate Functions. 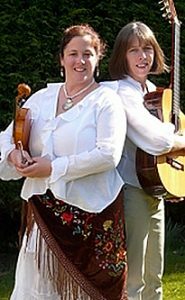 Alex & Sarah have been performing together since 1994 where they met at Trinity College of Music in London. They also perform in Hobson’s Choice Barn Dance Band – A very popular choice for weddings, parties and public events in the South West. Live Music on your wedding day can create a wonderful ambience especially with Thalia! We can offer live music during your ceremony including the Entrance, Exit and Signing of the Register and we are an ideal act for your reception, providing background music whilst you are having drinks and photos or even during your meal. If you have a special request for your favourite tune we will do our best to arrange it for you. We offer the Complete Wedding Package with Hobson’s Choice for your evening entertainment and we don’t take up much room!